Steaming Volcano covered by glaciers & the worlds largest salmon spawning ground! We are the ultimate Alaska destination for photographers and adventure travelers. We provide one of the worlds most unique and authentic wilderness experiences. . You have a pilot, guide and bush plane at your disposable every day of your trip with us. 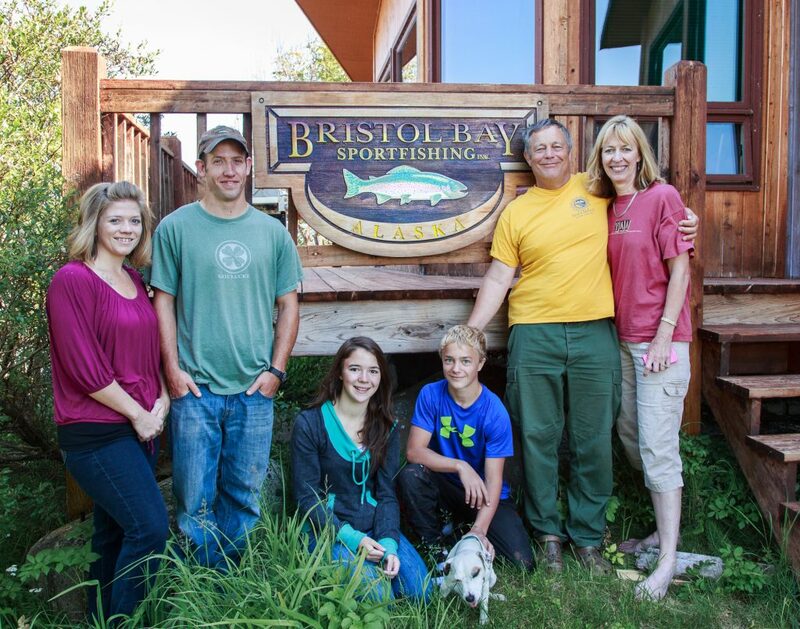 Our lodge is nestled between Katmai National Park, Lake Clark National Park and Bristol Bay. We are surrounded by 18 million acres of roadless wilderness. Majestic Lake Iliamna is Alaska's Largest Lake and is the the place we have called home for 39 years. Our watershed has the world's largest salmon migration with over 12 million salmon returning to spawn every summer.If you have ever wanted to take a trip that is completely out of the ordinary come visit the Jacques family at our lodge on the North Shore of Lake Iliamna. We cater to only 10 guest per week and provide personalized service second to none. We customize each days activity especially for you. A trip with us is the adventure of a life time. We have 4 Dedicated aircraft for the exclusive use of our 10 guest, 2 float planes (sea planes) and 2 tundra-tire bush planes are parked at the lodge. We also have 12 boats in different locations, including the Katmai Coast.! Our bush flying safaris will take you over glaciers, active volcanoes, spectacular waterfalls and remote coast line. Coastal Grizzly Bears and Walrus are our specialty but we frequently see wolf, lynx, moose, beaver, caribou, breaching whales, dall sheep, seals, fox, sea otters, tundra swan, peregrine falcon and bald eagles.This is the best location on Planet Earth to observe and photograph the giant coastal grizzlies (brown bears). In perfect wilderness you will watch bears fishing for salmon, digging for clams, eating sedge grasses or grazing blueberries on the alpine tundra. Visit one of the the world's only photographable walrus pods on a remote Baring Sea beach. Visit traditional native villages or historic homesteads, raft or jet boat on wild and scenic rivers. The options are limitless and you decided what you want to see and do each day of your adventure. 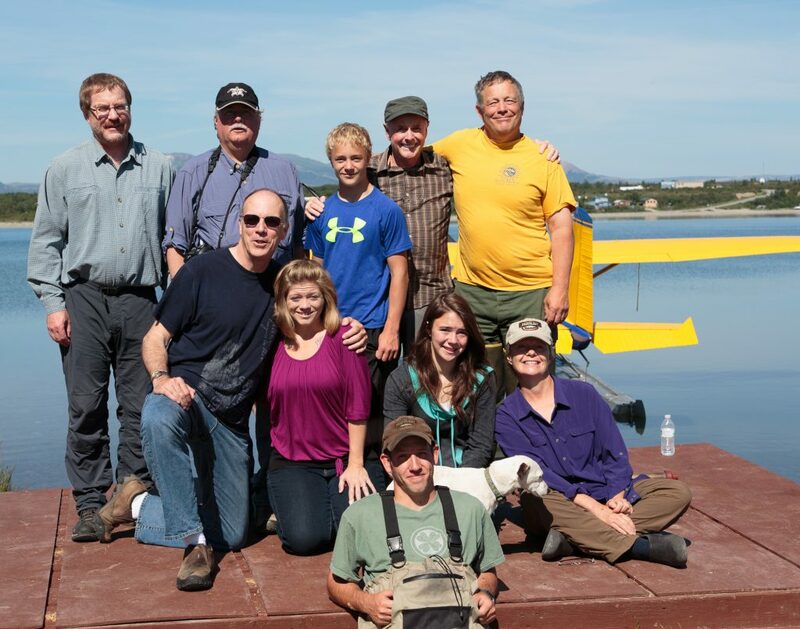 Our experienced Alaska bush pilots and licensed guides will get you to where the bears are. We make sure You are not stuck in one or two locations hoping grizzly bears or other wildlife will arrive. You never pay extra for the flying, all of the daily fly-outs are included in your trip package. there are no hidden costs! Most photographers have seen the spectacular pictures of bears catching fish at Brooks Falls. What many people don't realize is that Brooks falls is a very crowded and not a wilderness experience. We will take you there if you want but we have many other wilderness places with bears that we prefer to visit. The other big thing to remember is no single location consistently offers an abundance of bears and the timing of when the bears are there is variable and dependent on when the salmon decide to return each year. The salmon always return but sometimes the run can be 10 or even 15 days late or even early. 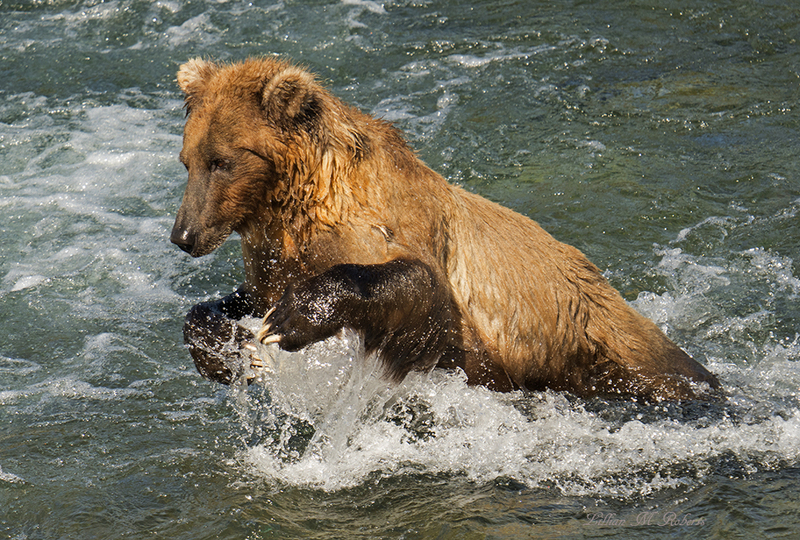 Bears follow the food with salmon being their favorite. Salmon runs peak in different locations at different times. As the salmon begin to dwindle at one location, the bears move to new areas where the runs are peaking. The bears often move 20 miles in a single day. Simply put, using our 4 aircraft and boats we follow the migration of the bears that are following there food source. With us you are guaranteed to see bears and other wildlife. At the end of the day we take you back to the comforts of our lodge. Our exclusive lodge and trips are very different than those other wilderness lodges. That is why every year noted wildlife photographers Art Wolfe, Daryl Balfour, Gavriel Jecan, David Hemmings and others join the Jacques family the lodge to lead their wildlife workshops. Always available at the lodge is the Alaskan style great room with a cozy atmosphere for you to enjoy spectacular lake and mountain views. You may also relax before the fireplace in the living room or project your images on the large screen. Enjoy a game of pool in the recreation room while reminiscing about the day’s adventure and planning for tomorrow. When it is time to retire you stay next to the lodge in comfortable private cedar guest cabins with individual bathrooms and unlimited hot water. Our chef prepares wonderful multi course meals for meat lovers and vegetarians. Adventures in Alaska with this crazyawesome crew. 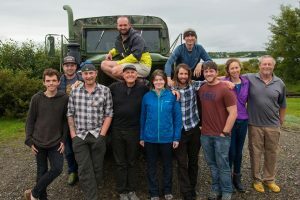 A huge thank you to our incredible host the Jacques Family & Alaska Grizzly Safaris as well as The Luminous Endowment For Photographers for this amazing opportunity! Our week in the backcountry shooting bears and learning from Art Wolfe and Gavriel Jecan was truly unforgettable... hoping to see many of you at NANPA in February! All photos on our web site were taken by our guest or staff on our trips. © 2019 Alaska Grizzly Safaris. All Rights Reserved.